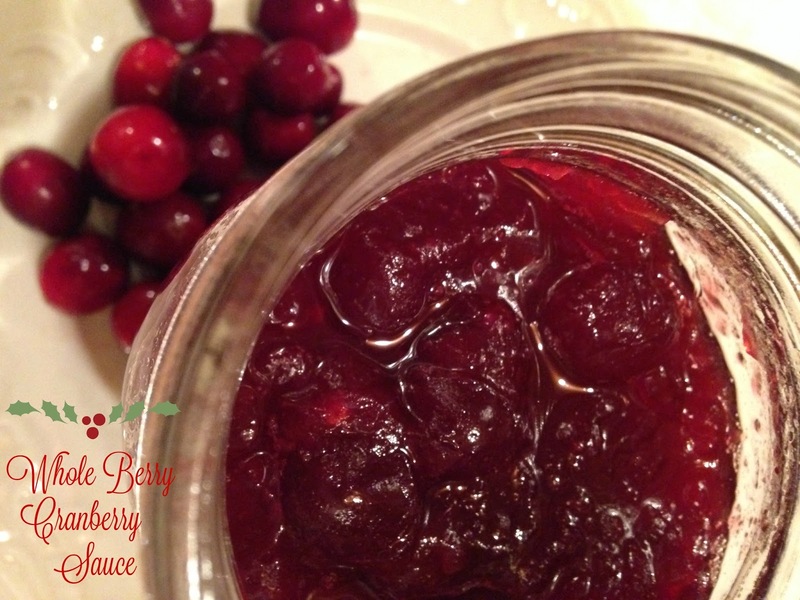 Homemade Whole Berry Cranberry Sauce is very easy to make and is so delicious! Cranberries, sugar and water is all that is needed to make homemade whole berry cranberry sauce. Never thought to can whole berry cranberry sauce before? Most people haven’t. 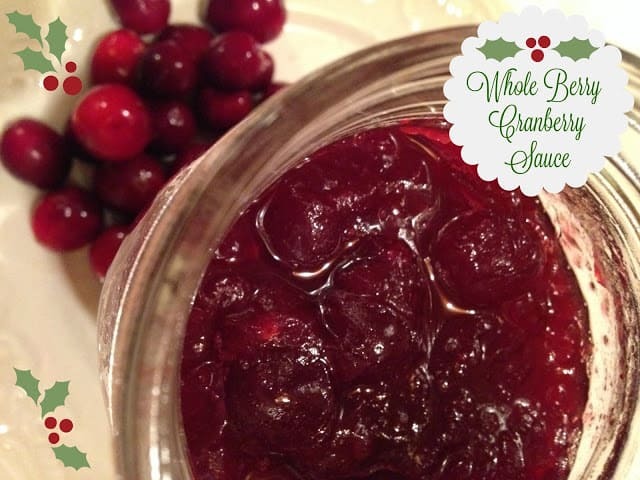 Most of us, me included, pick up our whole berry cranberry sauce when we’re at the grocery store buying our turkey and other Thanksgiving dinner ingredients. This holiday season if you have a few extra minutes, whip up a batch of whole berry cranberry sauce to give as gifts. Add a red and white checked ribbon and a sprig of holly and you’ll make several people very happy this holiday season. You can add orange zest to the cranberry mixture if you like that classic cranberry orange flavor. Combine sugar and water in a large saucepan. Boil 5 minutes. Add cranberries. Continue boiling, without stirring, until skins burst. Stir in orange zest if using. 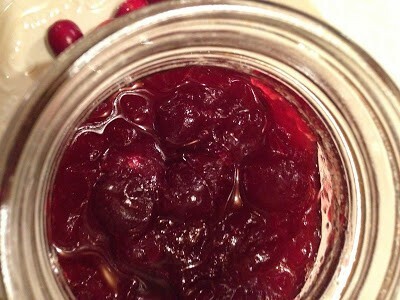 Ladle hot cranberry sauce into hot jars, leaving 1/2-inch headspace. Adjust two-piece caps. Process 15 minutes in a boiling-water canner. Remove jars from canner using tongs. Set jars aside, undisturbed for 24 hours.